By The Shore Stamping with Jen Pitta: Happy National Scrapbook Day! Hey there! I almost didn't make it, but Happy National Scrapbooking Day! Did you get a chance to get scrappy? I'm actually at the Ready Set Crop Spring Fever event in Leominster, MA. We're having lots of fun. Although sadly I'm not teaching any scrapbooking classes this weekend I did have a fun card class earlier today that kept me busy for a bit. But rather than sharing cards today, I thought it would be more appropriate to share with you a few of my recent scrapbook pages. I've actually been making quite a few lately for events. The one above was a single page I made as part of the make and takes for last month's Memory Keeping Club class, which meets the last Friday of every month at the Harwich Community Center. We get together and work on our own projects for a few hours and I always have a make and take or two. The next date is Friday, May 22nd. You should join us! I've also been hosting a couple of scrap-a-thon's lately, too. The first time I did this event was last summer and it was a big hit. So I just did one in March and have another one coming up later this month. 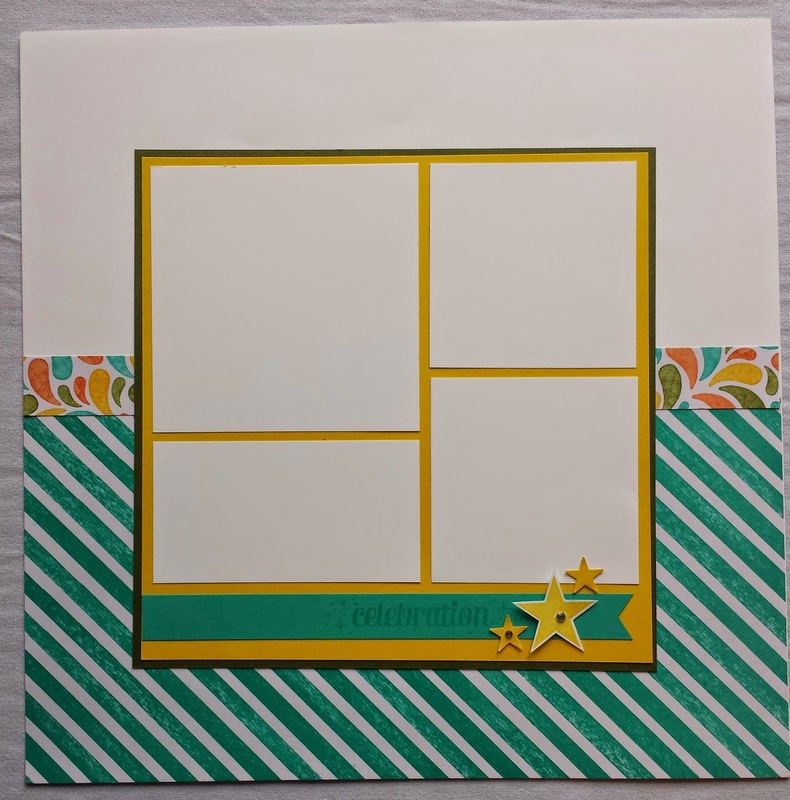 The Something Borrowed paper from the Occasions Catalog is really great for scrapbooking because you can add any color you want with it and it works beautifully. Here I added little pops of Elegant Eggplant and I loved the result. I also used the "So You" stamp set from the Occasions catalog... that's another perfect choice for scrapbookers. So how about you... did you get any scrapbooking done today? I wouldn't be surprised if you said no... from what I hear it was a beautiful day outside in our neck of the woods.... I guess that's what late nights are for!